VIENNA Advantage > Business Hacks > 9 Reasons why your company needs CRM Solution? Technology is changing every day. That is a fact! In the last 5 years we have witnessed more changes compared to the past 50 years. And this trend is not going to stop in near future. The competition is fearless and there are tons of data to process. Business owners and managers are too busy running the companies, so without a proper software solutions they are doomed to fail on a long term. Being not able to keep up with all the data that has been created can be a serious disadvantage for your company. Especially when that data involves current or potential customers’ information that can affect your sales. A proper CRM Solution might help you effectively manage the customer related data. What is CRM Solution – Customer Relationship Management? Customer relationship management – CRM Solution is an approach to managing a company’s interactions with current and future customers. It often involves using technology to organize, automate, and synchronize sales, marketing, customer service, and technical support.It can keep track of all customer records and can improve you customer retention processes. A good CRM Solution usually saves a lots of time and resources and makes the company more productive. You might be able to keep up with 20, or 50 or even 100 clients in your head but there comes a point when you just can’t track them all and their associated tasks and events. So the important question here is, are you going to limit your business to the amount of information you can store in your head? A CRM Solution will give you endless possibilities to store and manage past, current, and future customer information. Take advantage of technology and use it for your business success. It is very usual when working with bigger customers, to contact several persons from their organization and vice versa, they might contact several persons from your organization during a sales cycle. This is very common in the retail business. If that is the case with your business, then you most definitely need a CRM system. A good CRM Solution puts all client information in one central location, a single source of truth, that is easy to update. All communication can be kept in one spot, nothing gets lost and you can easily see and share it with the rest of your team. How do you record the sales leads? What happens to them when a sales person leaves the company? How effective is your sales team and can they do better? Implement a CRM Solution and you won’t need to worry about these questions. You will have the details of your prospects under your control, so that you can monitor what your sales staff is doing. And in case they leave, you can be sure that their sales pipeline doesn’t leave with them. If you have a sales process that takes over a month or longer it might be difficult for you to remember where each prospect is in the cycle, and what happened in the last call, especially when they come back after one or two years! If you want to forecast sales, then you need to record the values, probabilities and estimated close date of each deal, and a report writer to add them all up for you, spread across the months…Imagine how much time and resources will take to you do this manually for each customer. Can you quickly state your customer conversion ratio or the best method you reach your customers with absolute certainty? Do you know how many successful leads you’ve had in the past week, month, or year? Analytics are important to your business growth and success. A good CRM solution will give you instant insights on many aspects of your business, and all you need to do is click a few buttons. 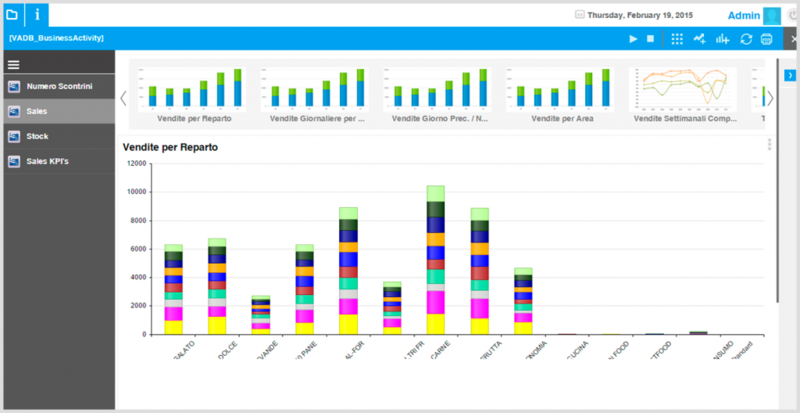 Plus with CRM like VIENNA Advantage CRM, you can create custom reports in a few minutes, tailored to your specific business needs. Create it once and use it forever! A good CRM Solution, will give you the ultimate freedom to access any customer information from any mobile device, regardless of geographies. All you need is an internet connection. With VIENNA Advantage ERP and CRM solution, your customer data is always synchronized, and you will have instant access, no matter where you are. It works on all Android and iOS devices. A web-based and cloud-based CRM Solution such as VIENNA Advantage, lets you effectively protect your data from being lost. Moreover you can access the data from any computer in the world. All you need is an internet connection. With VIENNA Advantage ERP and CRM solution you have the complete freedom to select between on-premises or on-cloud installation. Moreover, you can choose from VIENNA Advantage secure cloud or you can install the CRM Solution on your private company cloud. Of course a CRM cannot predict the future with 100% accuracy, but a good CRM Solution can give you a reasonable expectation of the future based on past performances and past events. A good CRM Solution can extrapolate past data to give you a good idea of what is to come. A proper CRM Solution will help you keep track of every task and event and relate them to the appropriate customer or lead. 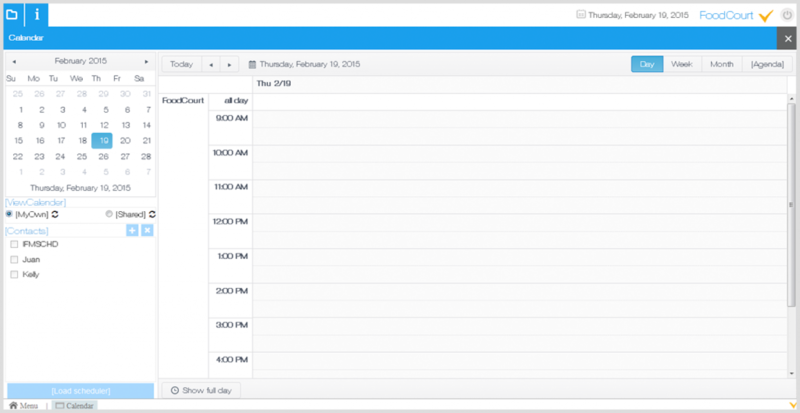 VIENNA Advantage CRM provides a calendar system that allows you to see all of your tasks and events in several modes. Plus, you can share your calendar with your colleagues. Moreover VIENNA Advantage CRM provides instant access through our mobile app, so you can manage tasks and events from anywhere. There are dedicated calendar apps and task management software you can use, but the goal is more than just managing tasks. The goal is relationships. A good CRM Solution will relate those tasks and events to the appropriate lead, contact, deal, or company. It all works together to form a cohesive whole. Organizing all your information into one system gives you the“big picture”. 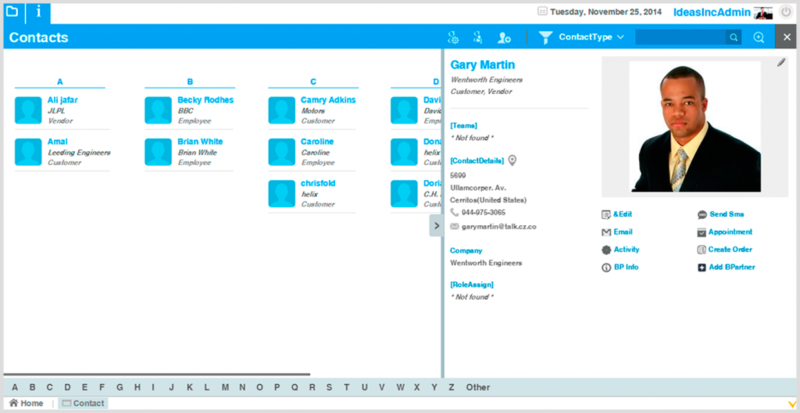 A CRM Solution integrates emails, tasks, calendars, leads, and so much more in one easily maintained and managed place. Access your information from anywhere in the world and from any internet-accessible device. By using VIENNA Advantage CRM, your business will become more organized, you will save time, increase productivity, and you can focus on the important things. You’re a “one man company”, you only get few leads a week, the sales cycle is short, there’s no repeat business, and you have a few large customers that you can remember all about.